With our free planner maker app you can design your own planner online and then print it at home. 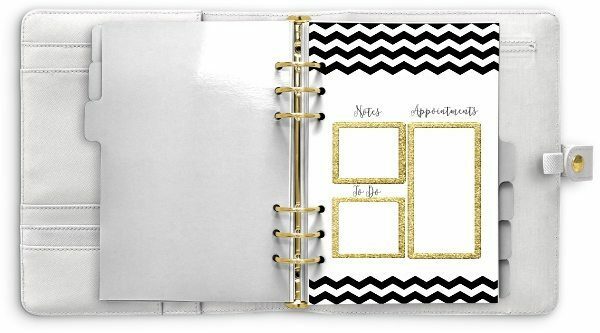 The planner printables can be printed in various sizes depending on the size of your planner or binder. 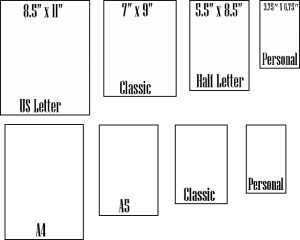 Before you start to personalize the printables you will need to select the right size. 8 sizes available for the most common planners. Print on US letter or A4. 101 designs available. Either mix and match or use the same design for each page. 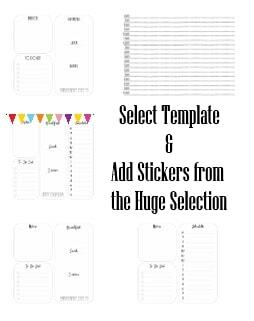 You decide which planner printables to include and how many of each. There are yearly, monthly, weekly and daily layouts. Select a template for each page and personalize it. 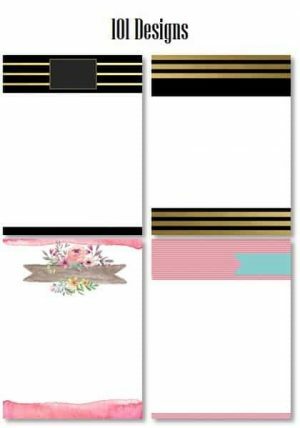 Add planner stickers and embellishments before you print. Insert into a planner or binder. Only print the pages that you need. All of our customizable planners are free to feel free to make as many as you want! We offer a number of bullet journal hacks to help you create your bullet journal without drawing each element yourself. Free bullet journal templates that can be used and customized. 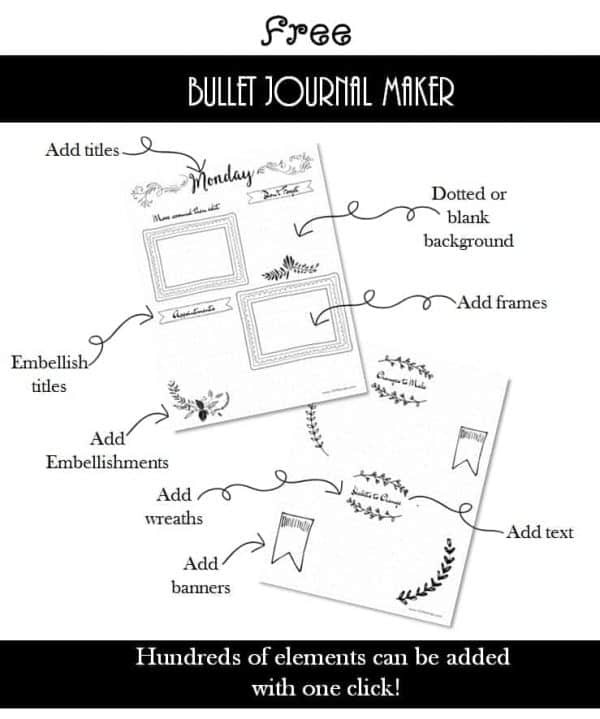 We also have a bullet journal app which enables you to add hundreds of hand-drawn elements to your bullet journal with the click of a button. To create your own unique Life Planner, design your own printables that will work for you. There are hundreds of options to choose from. Choose your design. There are 101 different designs to choose from! Add your name to the cover or change the title. It is 100% customizable. You can also change the font, color and size! You can create free binder cover templates if you are putting your planner inserts in a binder. Once you have chosen a background, select a planner template for each page. There are hundreds of templates to choose from. 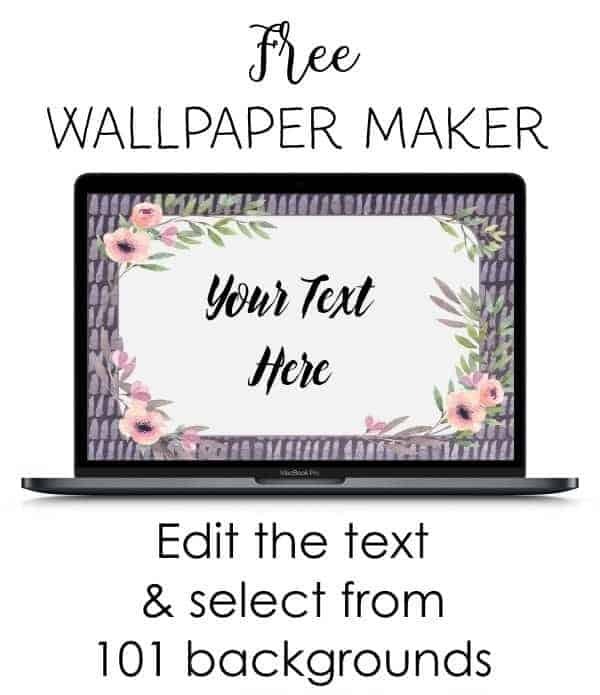 Add text and download or print. Create as many free planner printables as you want to include in your DIY planner. If you don’t want to select each planner template you can use our ready-made planner printables. There is a huge selection available. Either print only what you want to use or whatever you think you will use in the future. The choice is yours. You can always come back and create more if you want! Customize each printable planner. Change the title, headers and add text to mark appointments, birthdays or anniversaries. You can also use our selection of online planner stickers to mark important dates before you print. New! Customize planner inserts for most of the planner sizes available. Print the cover and all of the inserts that you want to use. You can either insert them into a binder or folder or have them bound at your local office supply store. It will still cost a fraction of a store-bought planner and it is totally personalized! If you don’t want to create an entire binder with printable planners then feel free to print individual planners for specific needs such as a weekly calendar, checklist template, to do list, birthday calendar or menu planner. If you are using a customizable planner which has removable pages (such as the Happy Planner and the Kikki K Planner) then you can easily add additional pages to your planner. If you use a bound planner such as the Passion Planner that does not have removable pages then you can either paste the printables on the existing pages or just use our planner stickers or storage solutions.